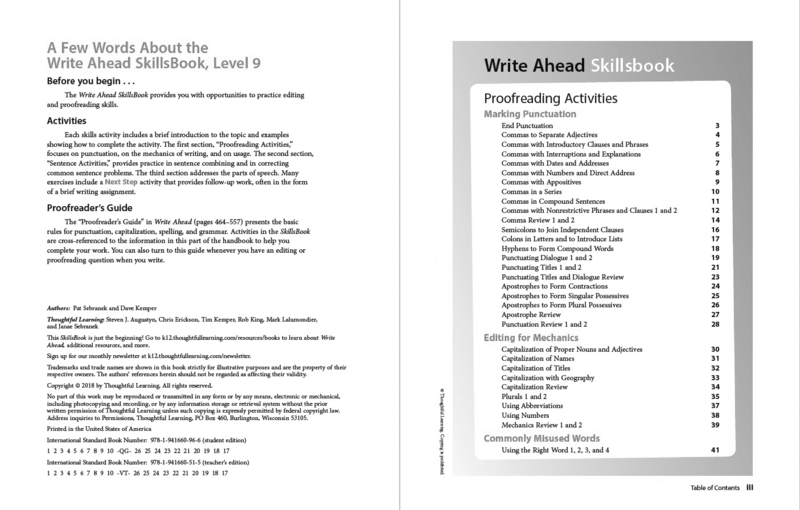 Make sure to order a Write Ahead SkillsBook Teacher's Edition (Grade 9) so that you will have all the answers. 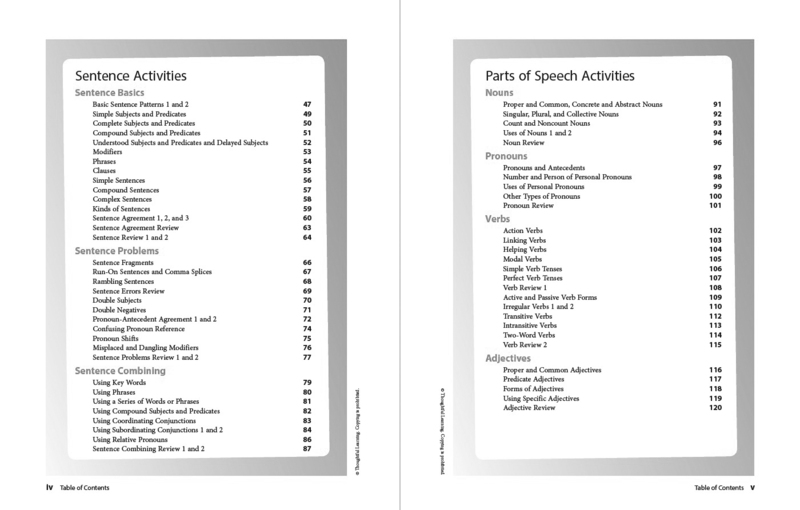 Each SkillsBook activity includes a brief introduction to the topic and examples showing how to complete the activity. 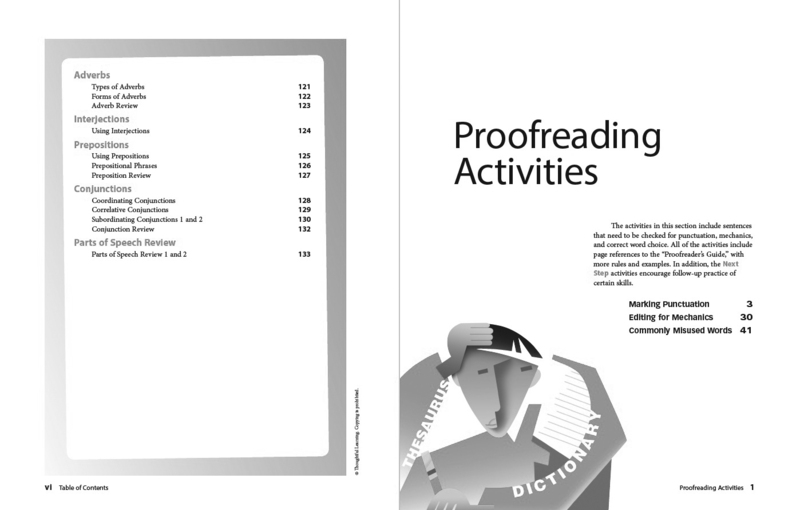 Cross-references to the "Proofreader's Guide" in Write Ahead help your students find more rules and examples to improve their use of language conventions. 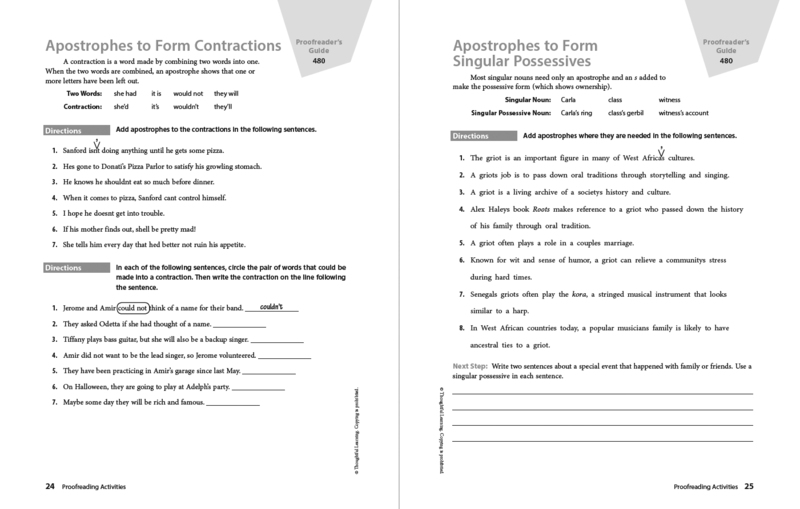 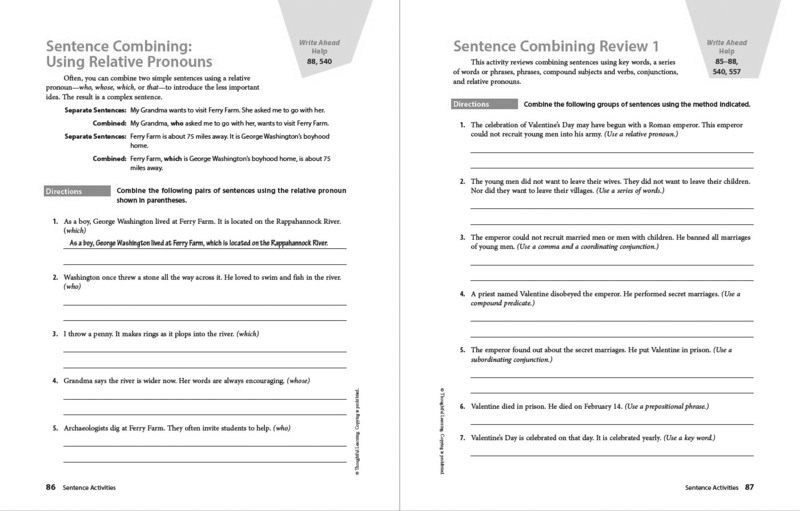 Your students will also get extensive practice in combining sentences, correcting sentence errors (run-ons, comma splices, fragments, and so on), and using the parts of speech (noun, pronoun, verb, and so on).